I installed them as an upgrade to the LP style kit. What a difference they made. I would recommend this to anyone who wants to upgrade their sound. Great pickups! Now we can have a p.u. with so much clarity. Great Tone, Beautiful to Look at. I purchased a Les Paul Type Iron Label Ibanez a few years back and loved the way the guitar played. I was however not in love with the excessive brightness of the 81/60 set in this guitar. So, I purchased a set of the Fat 55's in Zebra. Well, first these are the best looking pickups I have ever seen in a guitar. The quality and beauty is something else. The tone is amazing, very punchy, meaty, creamy and clear! 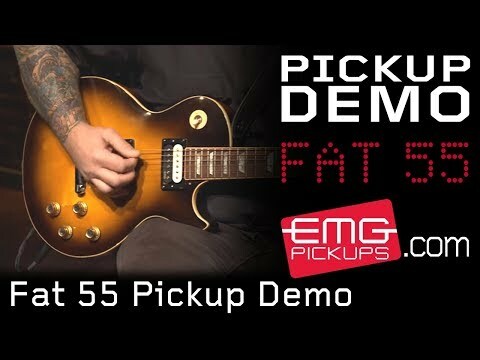 Very responsive pickups that are great for hard rock, jazz or anything in between. My Marshall and Vox amps have never sounded better! I cried listening to them on EMGtv, and I cried when I heard them on my guitar. Absolutely amazing. I have a 2012 Gibson Les Paul Traditional that I put these into and it has transformed my tone into a vintage/modern monster! I have the ZW and Het sets that have I periodically run in this guitar before and each of those have their own unique sound and purpose (depending on the vibe I want to get.) I like these because it returns the guitar to more of a traditional LP sound but with the consistency and flexibility that comes with EMGs. Think of it like watching an old movie on BluRay that you had on VHS back in the day? Basically Angus Young/Jimmy Page/Billy Gibbons tones in High Definition. You get the vibe and response of PAFs but with better clarity. These things are just great. I highly recommend these for people looking to have a classic sound for blues/country but want the solderless system because you like to swap pickups often! Glad I gave them a chance. I put these in a PRS SE Custom 24. Initially, I thought they were too bright but once I got them dialed in I began to really enjoy them. They seem to have all the vintage sounds of a good set of PAF's with the clarity and articulation of actives. They are clear as a bell but love overdrive, as most EMG's do, but aren't sterile when played clean which I've experienced with other active pups. They work very well with the volume and tone controls which is nice. I have actually started to use my tone control. I got the zebra set, parchment and black and they look very classy and expensive in the guitar. Workmanship is excellent and they are well packaged in an attractive box. I feel they are an excellent value and would not hesitate to buy again. I may try the others in the retroactive series. I'm glad they developed these. 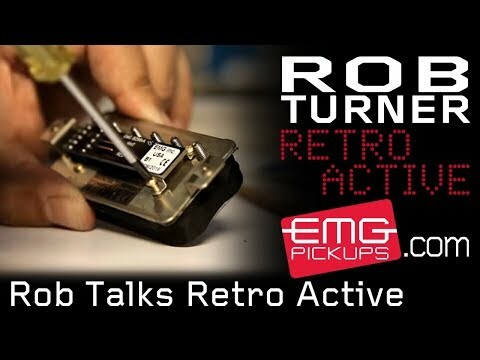 I've been using EMG pickups in all my guitars. I've got the 81/85 Zakk's model in an ESP Explorer, 81/60 in my LTD Explorer and in my LTD Truckster, 81 in my own build flying V, and I have recently installed the fat 55 in my modified Epiphone Les Paul. Sounds great! in my opinion a nice fat bluesy sound, an amplified PAF sound. I've chose the black/red set. 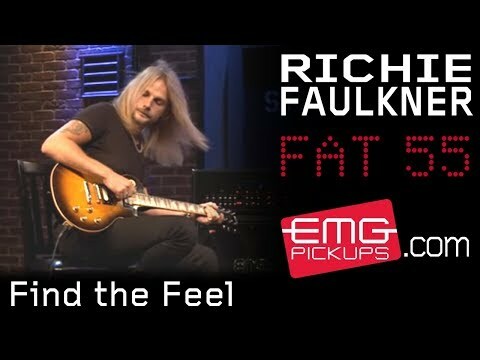 I have been waiting for a solution for my Les Paul to have a stock look but with the clarity and power that is EMG pickups. I have had my set of ZW 85/81 for over 10 years. Nothing wrong with them, sounded great and still do, but just hated the "metal" look it gave my guitar. With my Les Paul's color and finish, a solid black pickup just made it look too much like a ESP Eclipse. I was going to go with the Gold metal Het Set, but the shafts on the pots are short and don't come in the long shaft style for Les Pauls. I love the way these look and I found the sound to be even better. The neck position can go from a jazz sound to B,B. King to Slash. The Alnico magnets sound great. In the bridge position it is not as harsh as the 81 is previously had. It actually adds a bit more bass then what I was used to, but it sounds so good. Smooth and creamy. Perfect for classic rock and higher gain if needed. 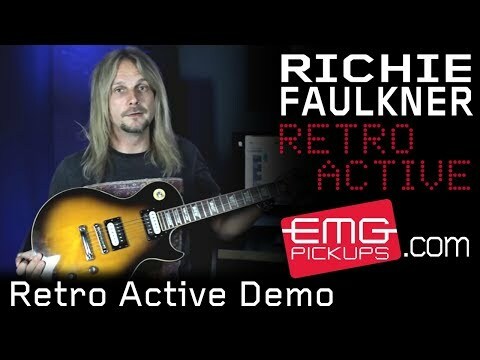 I highly recommend these pickups for anyone wanting the look of a conventional pickup and the great sound and quality from EMG. Not to mention, the installation was easy with the new bus for selector switch wiring. Great job EMG, still a very satisfied customer. These are the best PAF's I have had in my guitar. I am sold on the retro-actives. Tone and fell of a vintage PAF and the smoothness and silence of actives. Just need to get the Super 77 set for my strat. I have the FAT 55 set in my 61' SG.